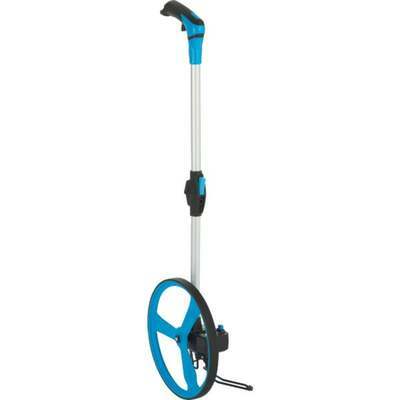 Features a durable aluminum wheel, 2-section quick-release folding handle, ergonomic comfort grip, and dual-spring kickstand. Measuring wheel also includes a fitted reset switch which prevents sand/dirt/debris from entering the housing, increasing the life of the wheel. The 5-digit counter measures up to 10,000 ft (foot), with accuracy of +/- 1" at 100 feet.